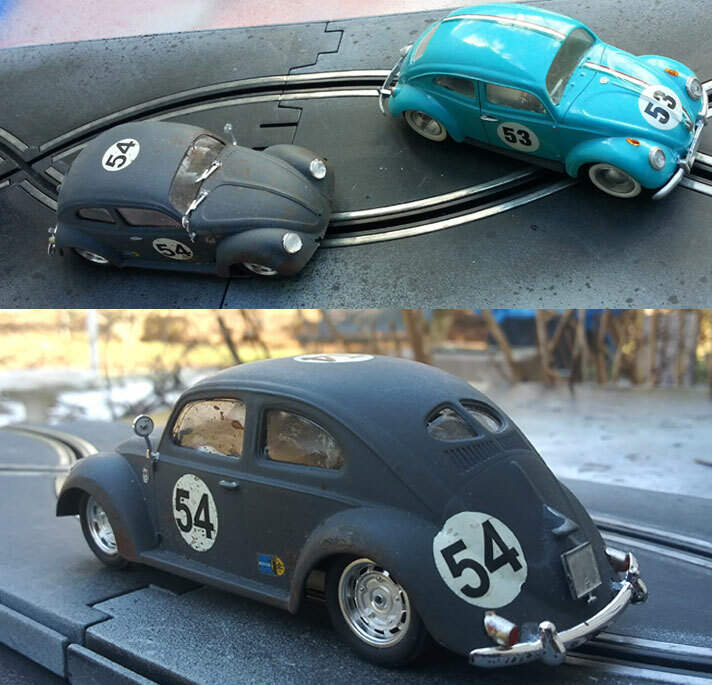 My daughter and I built these 2 beetles using Arii model kits. They've only been on the track for some parade laps. 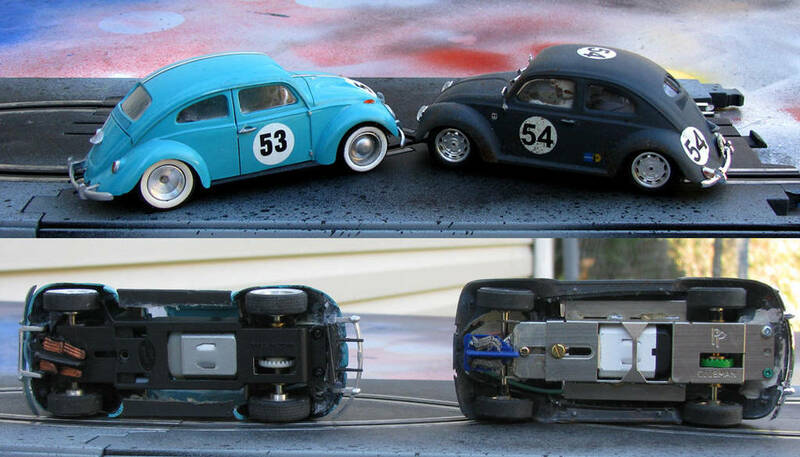 The blue car is mounted on a PCS Chassis. This car is very tippy and is one of our slowest cars. The Split window is painted Panzer Grey. It's mounted to a PP Clubman Chassis with silicone wires, Slot.It gears and axles. Its a low power motor (15,000 rpm?). It runs great with some weight added over the front axle & guide. Last edited by Fester B Zombie; 02-04-2019, 10:06 AM. 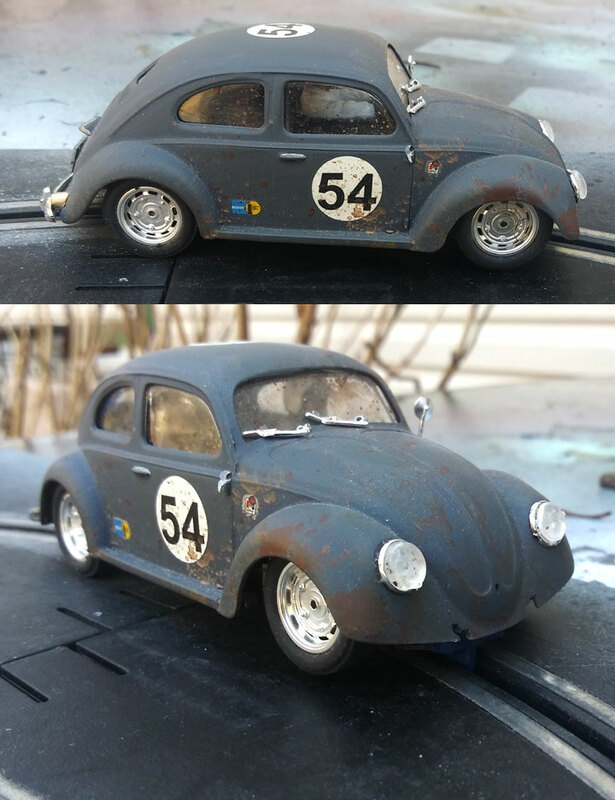 Nice weathering on the 54. Try a bit of weight on the blue one too. You could stick a piece of lead or brass to the bottom of the chassis with double-sided tape. Personally, I like the split-window body. I recall seeing real 1:1 cars with these, including that of college friend Steve Babbage, who scared the death out of me the first time I rode in a bug.